Porcelain Crabs are almost 300 species in the family Porcellanidae, found in all the world's oceans except the Arctic and Antarctic. 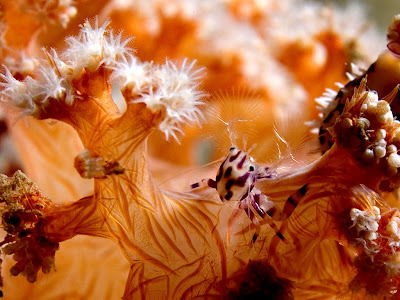 They are most closely related to Squat Lobsters, who aren't really lobsters. 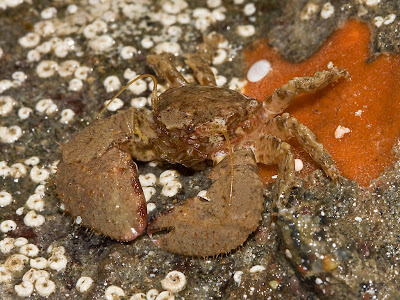 or tiny, and are often found under rocks in tide pools. Others are polite enough to hang out on corals and sea anemones so we can get a close look at them and their feeding habits. Now we can see how their mouthparts are modified into feathery fans for filter feeding. It all looks incredibly enthusiastic, so much waving and finger-licking! 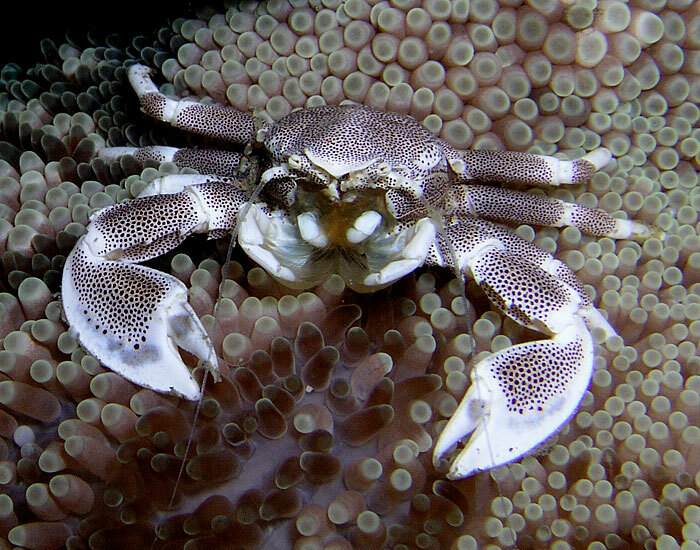 Porcelains look just like true crabs because they have their tails tucked between their legs, also known as a reduced abdomen carried beneath the thorax. 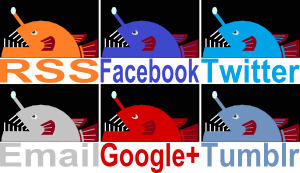 However, keep your wits about you and you'll see two clearly visible differences! 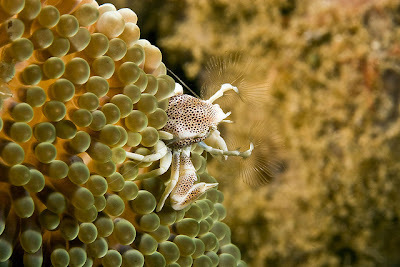 One, Porcelain Crabs have long antennae, in contrast to the true crab's scarcely visible stubs. 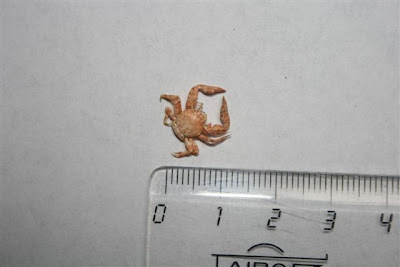 Two, the Porcelain's last pair of legs are tiny, scarcely visible and often completely hidden. They end up looking like they have 6 walking legs and 2 claws, while almost all true crabs clearly have 8 legs. It's a situation much like their relative, the Coconut Crab. 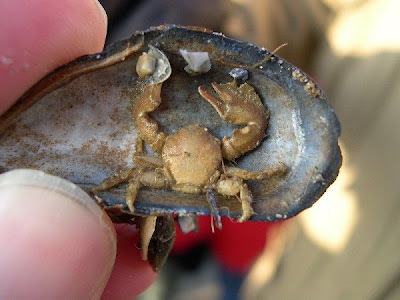 Also not really a crab. Sometimes they have even less legs, but that's because they fall apart at the first sign of trouble. In other words, they're keen to lose their limbs when predators come calling. They'll grow back later though, which is more than can be said for actual porcelain. 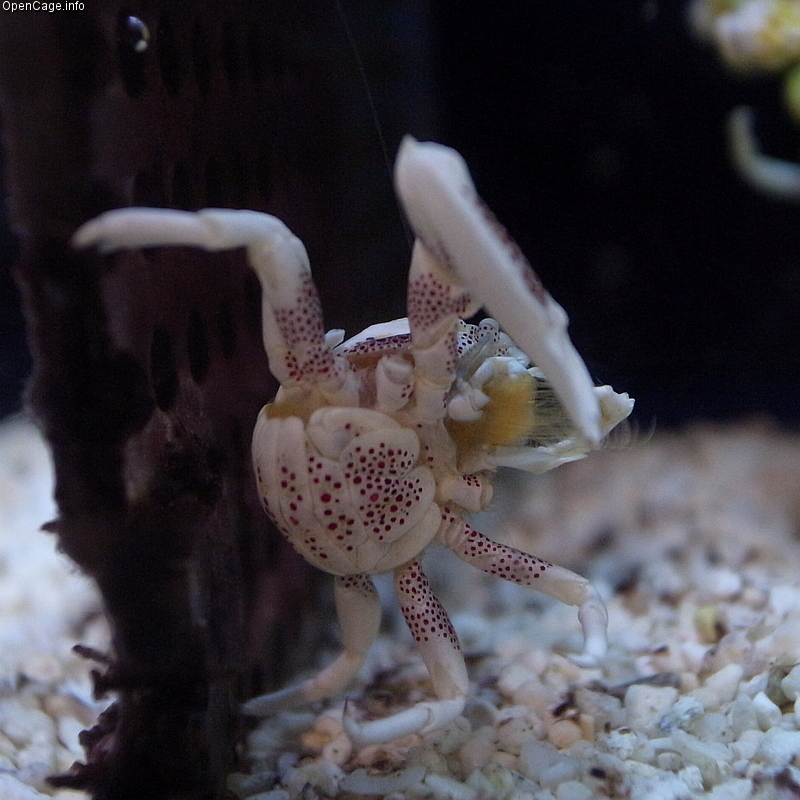 The claws can look truly formidable, but their use seems to be devoted primarily to maintaining territory against other Porcelain Crabs. They are! 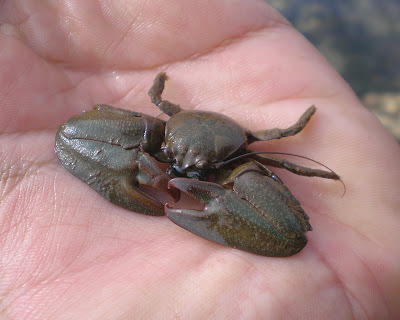 And those claws look significantly less terrifying for their tiny size. 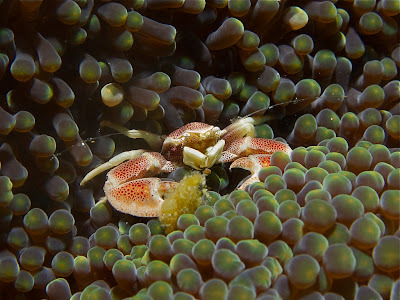 So what are they related to - if they are not really crabs? Prawns? Squat Lobsters! Which aren't actually lobsters. 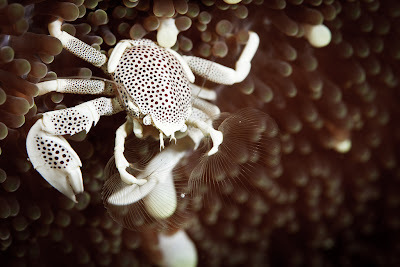 Together they're most closely related to King Crabs (not really crabs), Coconut Crabs (not really crabs), Hermit Crabs (not really crabs) and Mole Crabs (not really crabs). 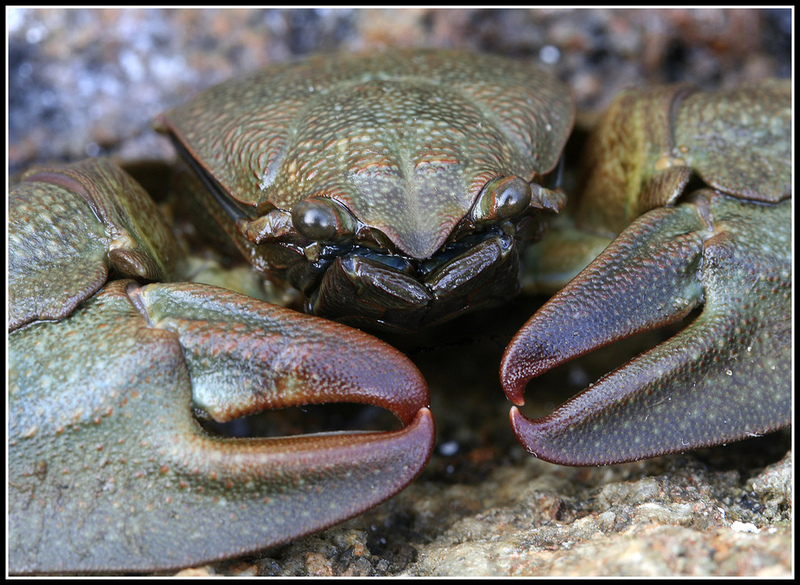 All those are then related to lobsters, true crabs, shrimps and a few others, who form a massive group which is related to prawns.